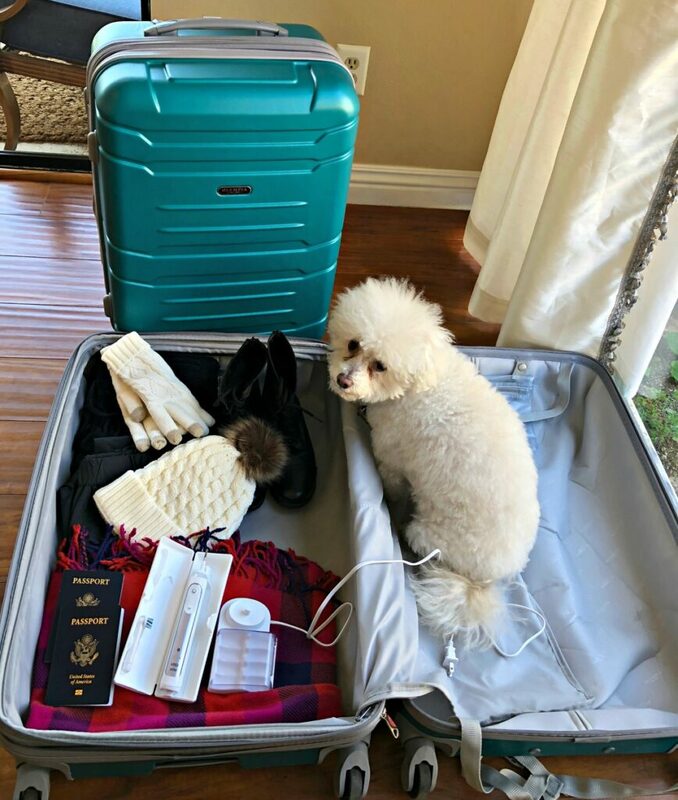 Packing Tips for First Time Cruisers - What are Your Must Take Items? Packing Tips for First Time Cruisers – What are Your Must Take Items? My husband and I are going on our first empty-nest adventure in a few weeks. We’re going on a cruise to Alaska along with my sister-in-law and brother-in-law. They are experienced “cruisers” and we are not. Last year, we got to see them twice, at both of our children’s weddings. They live in Houston and we live in Southern California. We laughed and said we don’t have any more children to marry off so let’s plan a trip together for next year. We talked about taking an Alaska cruise in memory of their dad who said it was his favorite trip. We planned and we saved, and now the time is near! Who is going to break the news to Buddy that he is not going on an Alaskan cruise? I’m working on my packing because I’ll admit that I am a terrible packer. I always bring too many things and I still don’t have what I want at my destination. I always bring too many things and I still don’t have what I want at my destination. Packing for a cruise has its own challenges but I figured if I start early, maybe I can fit everything I need for land and sea in one suitcase with some room for souvenirs. It’s going to take some skills that I don’t yet possess. If you have any packing tips for first-time cruisers, I would love to learn from you. Feel free to leave me a comment! I’ve started a packing list with some ideas from travel review websites on what to bring on an Alaska cruise. In the summer, the weather can be very unpredictable and change quickly from rainy to cold or hot. It also depends on the ports and the excursions you book. I have ordered some sea sickness bands for “just in case” and also bug-repellant which I would not have thought was needed in Alaska. I’m glad I have done some research ahead of time. Last month I attended a conference and I packed my new Oral-B Pro Smart Series 6000 rechargeable toothbrush. Now I know that I don’t ever want to be without it so this is a must-pack item! I’ve been using this top of the line toothbrush for a little over a month now. 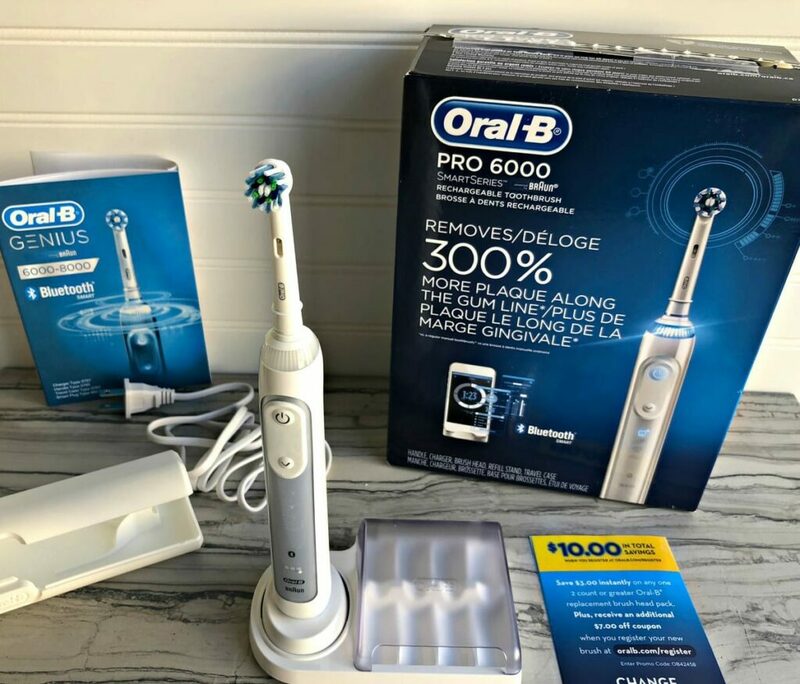 I learned that the Oral-B Pro 6000 rechargeable toothbrush removes 300% more plaque along the gum line than a regular manual toothbrush which helps prevent gingivitis. It really does clean so much better than a traditional manual toothbrush. It has an oscillating head which rotates and pulsates to break up and remove more plaque. It is the #1 dentist-recommended toothbrush brand worldwide and is accepted by the American Dental Association. Once you try this toothbrush, you will take yours everywhere too. As we get older, proper dental care is critical to living our best life. My husband and I will soon decide if cruising is the way to travel, but either way, we want to travel now that our children have launched. It is time for us to do the things we have always wanted to do. Staying healthy will be the key and we are both committed to doing our part. 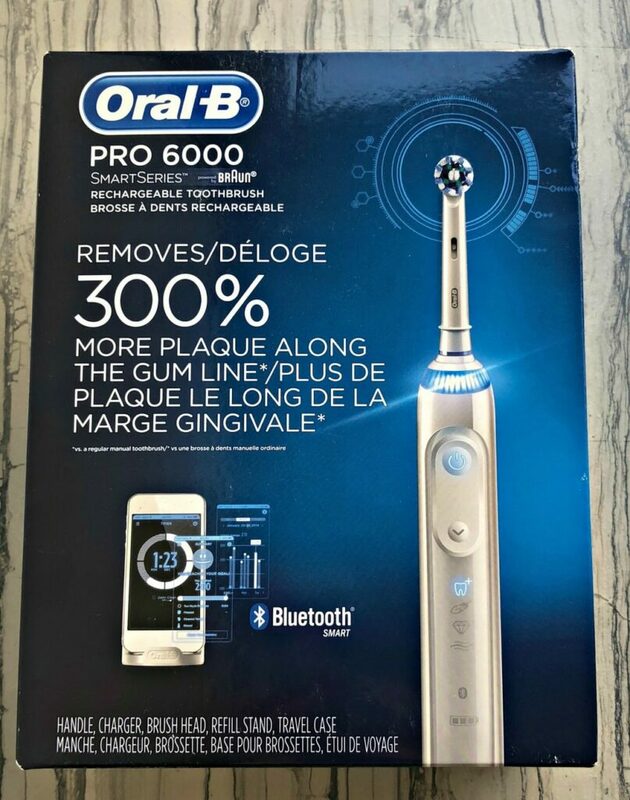 The Oral-B Pro Smart Series 6000 rechargeable electric toothbrush has Bluetooth connectivity which allows the brush to connect to your smartphone to give you real-time feedback on your brushing habits. If you brush too hard, there is a pressure sensor that lights up. It has 5 unique modes and you can customize the pressure sensors color. I have sensitive gums so this is my favorite feature. The 3D cleaning action oscillates, rotates, and pulsates to break up plaque. 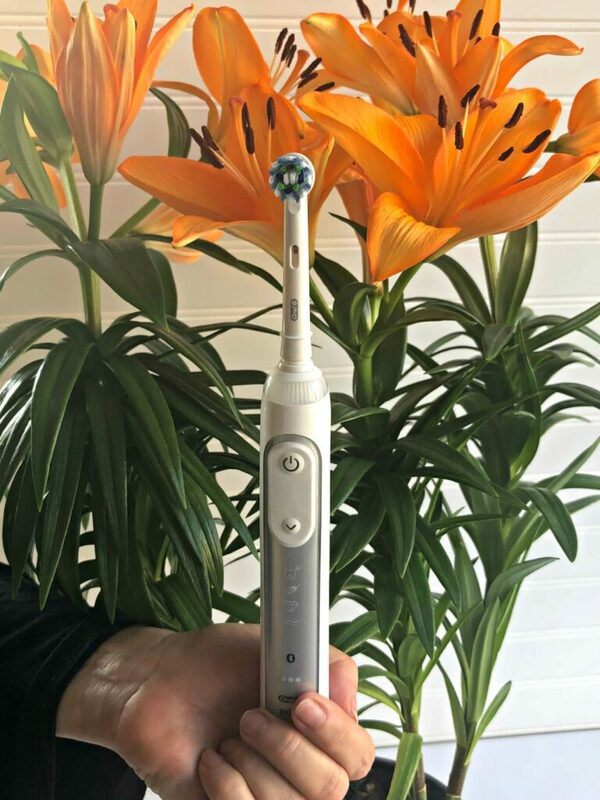 The cross action brush head has bristles that are angled at 16 degrees and it also has a built-in timer to help you brush for the dentist-recommended 2 minutes. This is one smart toothbrush! Be sure and check out the Oral-B Pro Smart Series 6000 rechargeable toothbrush and all of the great P&G products too. P&G Everyday recently launched it’s “Empty Nest, Full Life” page. This page offers exclusive savings, recipes, and tips to all Empty Nesters. Take care of your teeth with great products, get tips on 50+ life, and save money too.